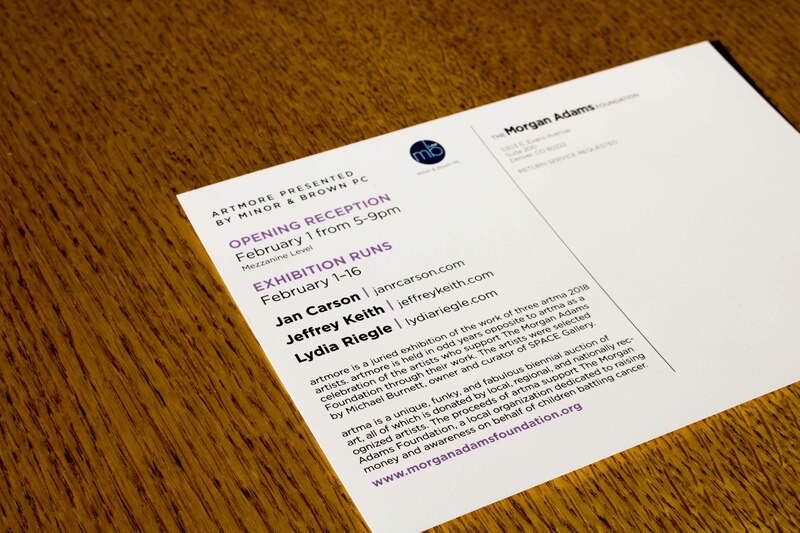 Minor & Brown PC is proud to present the 2019 Morgan Adams Foundation artmore exhibition hosted by SPACE Gallery. artmore is a juried exhibition of the work of three artma 2018 artists. artmore is held in odd years opposite to artma as a celebration of the artists who support The Morgan Adams Foundation through their work. The artists were selected by Michael Burnett, owner, and curator of SPACE Gallery. artma is a unique, funky, and fabulous biennial auction of art, all of which is donated by local, regional, and nationally recognized artists. 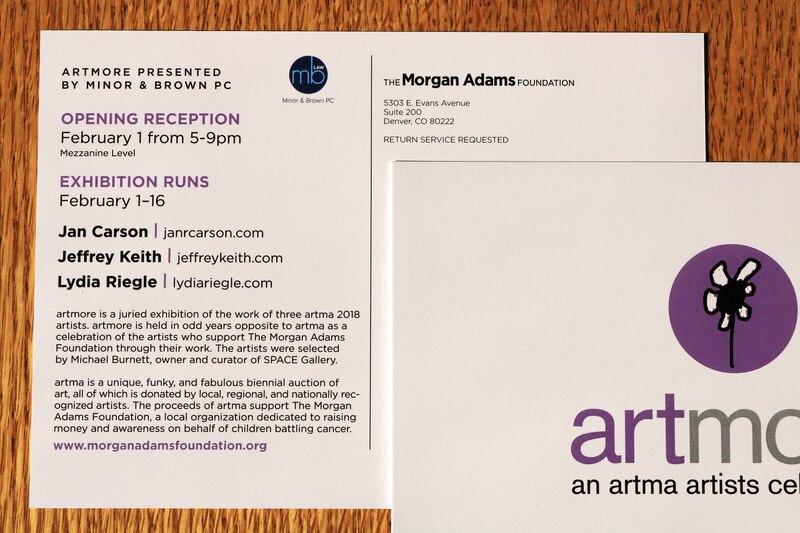 The proceeds of artma support The Morgan Adams Foundation, a local organization dedicated to raising money and awareness on behalf of children battling cancer.